Avigilon Corporation’s new integrator cloud service platform, Avigilon Blue, is a subscription-based platform for security and surveillance, purpose-built for Avigilon partners and their customers. Avigilon Blue provides site analytics and automatic system health notifications, and enables remote monitoring as well as identification of system performance trends. Through Avigilon’s self-learning video analytics, the platform uses real-time alarm notifications to bring attention to events. 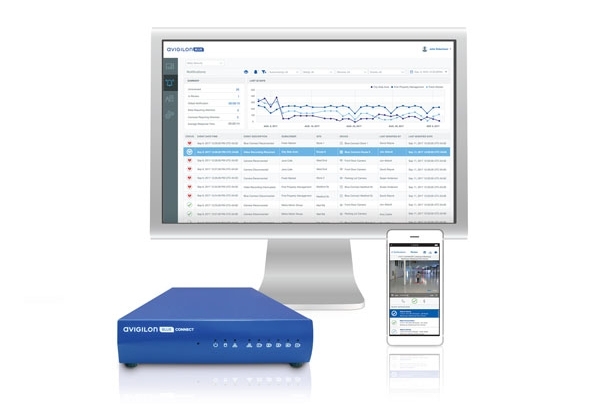 Integrating an on-premise Avigilon Blue Connect device that supports local storage and Avigilon and ONVIF compliant cameras, the platform also sends critical events to the cloud for users to view and verify from a web-connected device.